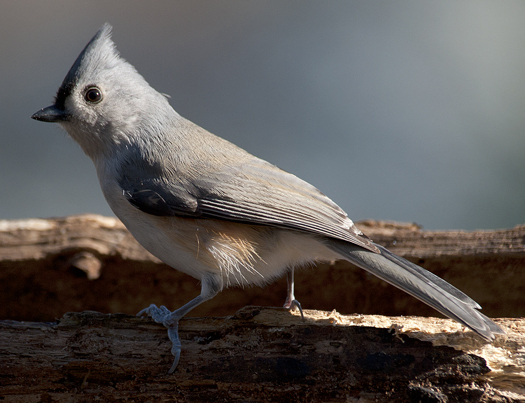 AKA Tufted Titmouse, a bird many know as a frequent visitor to feeders. 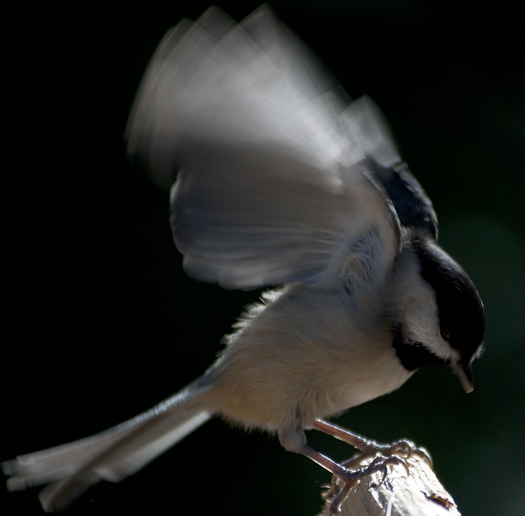 Carolina Chickadees are fast little birds. It is a challenge to catch their action as they flit about. 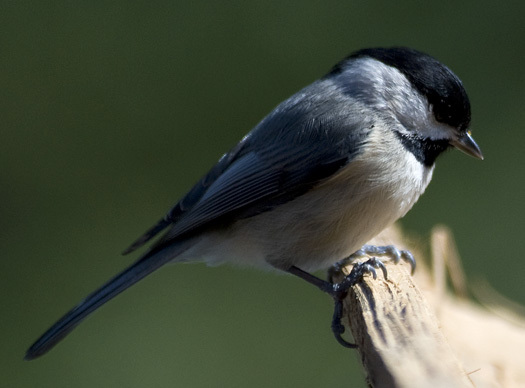 I watched this little chickadee as it fed this afternoon. Like most small birds it was frenetic in its movements as it flitted from branch to branch. I felt lucky to get a photograph as it undoubtedly reflected on where to speed off to next. 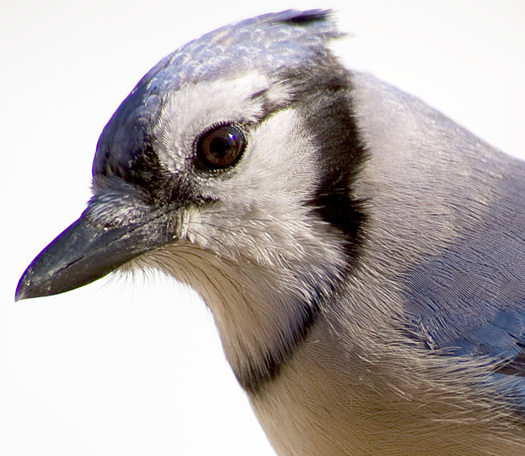 Thouoght I would take a closer look at the Blue Jay. 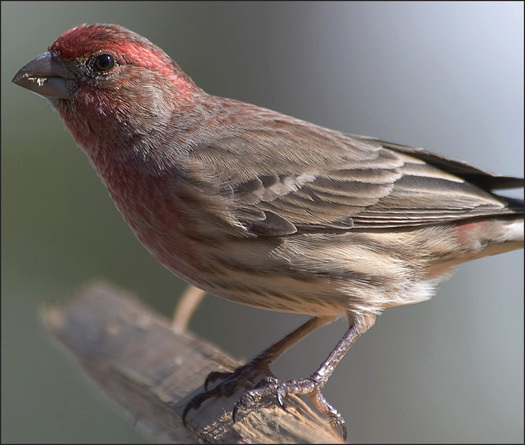 House Finches are native to the southwestern United States and Mexico. They have expanded welll beyond their original range, sometimes with a little help from people. The eastern population is a result of them being released from cages in New York. They are found in almost all human altered habitat. This Blue Jay was taking advantage of a nice sunny day this afternoon to eat what it could find before the next bad weather. 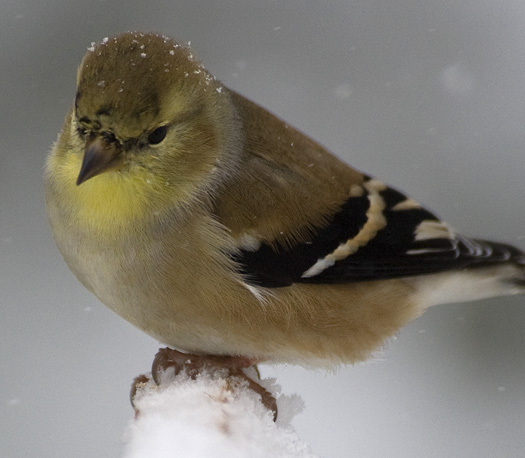 We think of American Goldfinches as those bright yellow birds we see at our feeders in the spring and summer. In the winter, and especially during a snowstorm, they are far more drab. 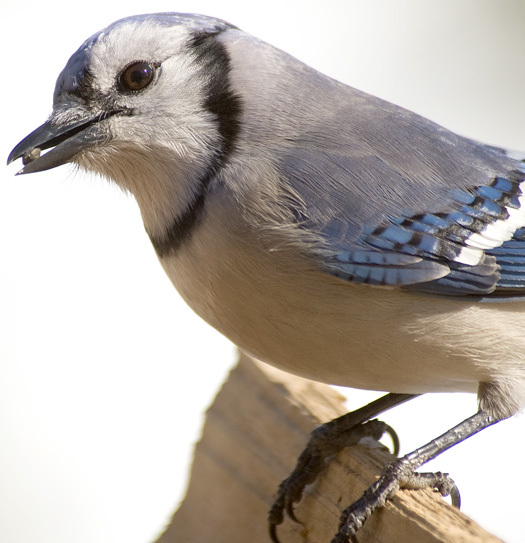 Here is a male in nonbreeding (winter) plumage. 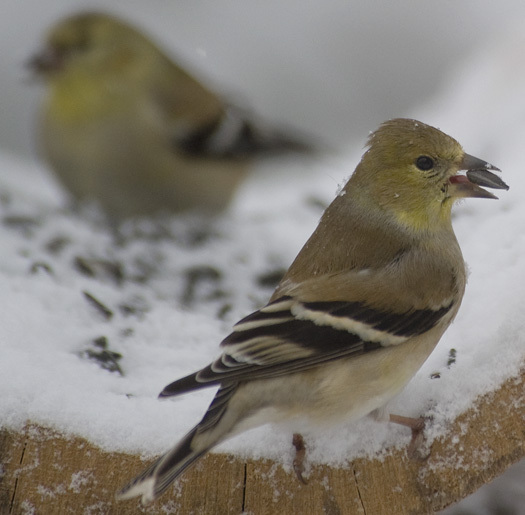 This lucky American Goldfinch shows off its big find to a friend who is still looking. 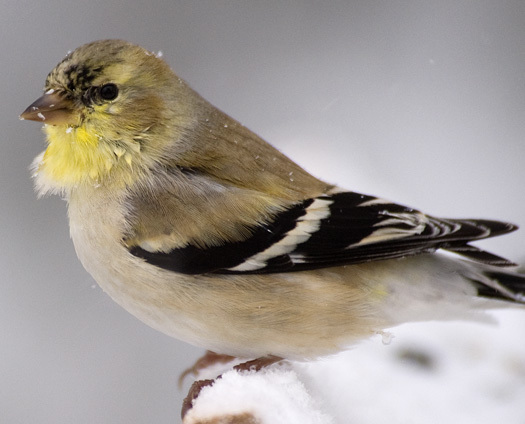 I found some American Goldfinches feeding in the snowstorm this afternoon. They were all puffed up to keep the heat in under their feathers. It’s a tough day to find a meal here on the Delmarva peninsula if you are a bird because we are having a blizzard, the second in three days. This Goldfinch was getting through pretty well. I had a hard time figuring out what this bird is but, after consulting with a friend, it is determined to be a Common Yellowthroat. Despite its name it is not very commonly seen. According to The Sibley Guide to Birds it is a “ubiquitous, rather secretive denizon of marshy or brushy vegetation near water”. 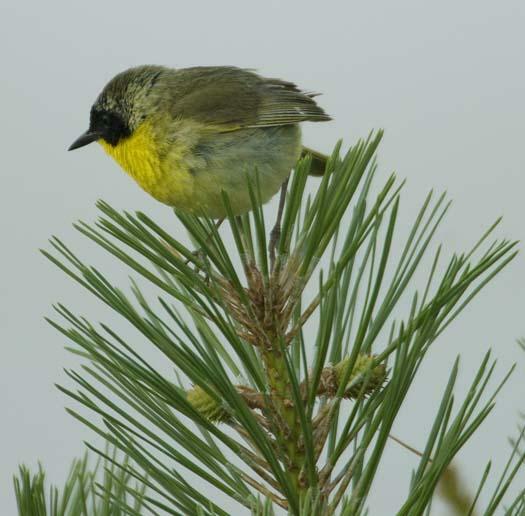 It is related “to warblers but is smaller and stockier and usually lacks yellow on its belly.” Now we know.